While there seems to be little hope of escaping Facebook power and influence at this precise moment in history, a number of new social networks have been emerging recently that just might possibly begin the slow process of reducing it down to size. These networks are based on and around blockchain technology. They include the community-focused, anti-censorship onG.social and the ‘truly’ anonymous messaging app Obsidian. And while even the eldest of such networks are barely a year old, there are many figures within the social media industry who believe they could shift the social media landscape in a way that fundamentally weakens Facebook's dominant position. Todd Berger is one of these figures. The CEO of Ello, a social network that was once itself framed as an ad-free Facebook rival by its former chief executive, he's now focused his and the network's efforts on providing an online community for creatives. Despite this change in direction away from 'challenging' Facebook, he believes in the potential of blockchain-based networks to do just that. He says, "I foresee the emergence of many new, community-centered, blockchain-powered technologies over the next 1-3 years that will arrive as very ancillary, indirect challengers to Facebook, ultimately disrupting Facebook’s influence." And this is exactly where social networks based on and around blockchain technology enter the picture. Not only do they promise to reunite the user with the privacy, security and transparency one loses with FB, but they also offer one the novel opportunity to be paid in cryptocurrency for the content she produces and views. “Indorse Rewards will be a user's activity index,” explains Dipesh Sukhani. He’s the chief operating officer at Indorse, a blockchain-based social network that’s focused on professionals and that raised USD 9 million in an ICO last August. While Indorse’s business model is based around it selling “various service offerings - e.g. advertisements” to third parties, Sukhani tells me that the platform will redistribute the IND tokens it earns back to users based on their Indorse Reward Points. Blockchain also promises to reduce the kind of trolling and bad behavior that's given much social media a bad name, in that users will be rewarded more for leaving constructive posts and comments than offensive ones. “Every second that someone spends trolling, they’re potentially damaging their reputation and preventing themselves from earning any Steem,” said Ned Scott, the CEO of Steemit says. The “Steem” Scott’s referring to here is the cryptocurrency produced by Steemit, a blockchain-delivered network that works like a cross between Facebook and Reddit. As of writing, a single token of Steem is worth USD 4.38, while the total value of the cryptocurrency (its 'market capitalization') is more than USD 1 billion. 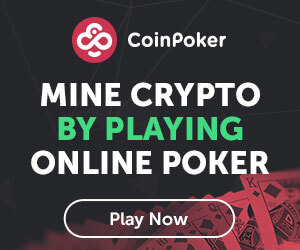 Other new blockchain-based networks such as Obsidian, onG.social, and SocialX also reward their users for popular posts with their own cryptocurrencies. As such, this increased incentive for users to be more positive will be present throughout almost the entire new wave of blockchain social media, potentially creating a whole new online climate. However, as with blockchains in other contexts, perhaps the biggest draw and innovation of these sites is that they all offer a decentralized social networking platform. "We are working in putting in place a fully decentralized stack for our product," Sukhani states with regards to Indorse, "which will mean that all the data our users record onto our platform will be stored on decentralized databases." By decentralizing stacks like this, blockchain-based networks such as Indorse reduce “the reliance on any one party controlling and manipulating the data.” In the process, they place a natural limit on the amount of personal data that can be mined and commoditized by the corporations managing social media platforms. This can also be seen with Obsidian, a messaging app that goes one better in the privacy stakes than the likes of WhatsApp and Signal by not storing any identifying meta-data on centralized servers. "We completely remove the requirement for user accounts," states Obsidian's CEO, Peter McClory. By removing this requirement and by running on decentralized servers, Obsidian provides users with complete anonymity, protecting them from having their personal details stolen by hackers or any other uninvited guest. Yet in addition to increased privacy and security, decentralized networks such as Indorse and Obsidian also provide far more transparency than Facebook. For instance, Sukhani informs us that Indorse is aiming to make every transaction that occurs on its network "fully visible" to users. "The advertisement revenue that the platform will earn will be transparent to all the users through the use of blockchain-based infrastructure," he explains, "and then the distribution of the revenue to the users will be equally transparent." Can Facebook really be beaten? Of course, such features as rewards, privacy, security, and transparency sound great in theory, but the question remains as to whether they'll be enough to break up Facebook's social media monopoly. Over recent years, countless numbers of would-be 'alternatives' to FB have arisen. However, whether it be the 'friendly' network Imzy or the non-blockchain-based yet decentralized network Diaspora, they've all fallen by the wayside as Facebook rode its enviable network effects to claim over two billion users. This would suggest that blockchain-based networks don’t have too much of a chance of truly rivalling Facebook. Yet this time, as they say, things could be different, given that such networks are ushering in a new kind of digital ecosystem that could fundamentally change what people expect and want from social media. As Ello’s Berger goes on to predict, "I don’t see the web 2.0 power dynamics holding up […] there’s too many intelligent, forward thinking people bringing forth the kinds of new technologies that just might realize the open, collaborative, equitable potential of the internet many of us have always foreseen." This is a bold statement, yet Berger admits that we should "never count out the Facebook leadership’s ability to adapt and influence the future." However, while this might imply that we could soon see Facebook becoming blockchain-based itself in order to beat off the competition, Sukhani of Indorse suggests that FB would have difficulties implementing blockchain tech given its size. "Our opinion is that with the current Ethereum mainnet, there are challenges of scalability and it might be some years before the technology matures to a stage where massive networks like Facebook can start using it." In other words, such challenges could allow the smaller rising networks such as Steemit, Indorse and onG.social to gain an invaluable head start over Facebook. Having been able to accumulate a critical mass of users as well as a critical mass of resources and relevant expertise, they or at least one of them could potentially tap into the kind of network effects that helped Facebook beat its early competition. Of course, since blockchain-driven social networks are still very much in their infancy, and since FB is still very much in an untouchable position at the moment, such a prediction is highly speculative. Yet the very fact that these networks have already garnered so much interest and traction so early on in their lives would suggest that there's more to them than mere hype.